We’re huge fans of The Lord of the Rings here, and 10 years after the first movie came out, we’re still quoting lines from the trilogy. 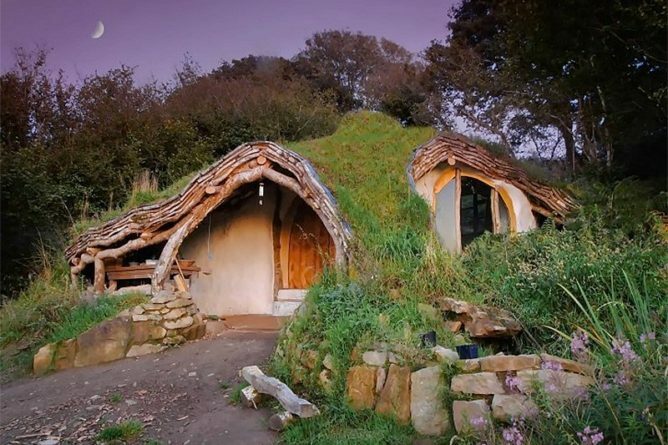 So expect us to be thrilled about anything that is remotely LotR-related, such as this cute little hobbit house built by a man named Simon Dale in Wales. My sister Lani mentioned this house before. Apart from looking like something Bilbo Baggins would live in, the hobbit house is an eco-friendly, off-the-grid structure as well. The house is solar-powered and the family gets water from a nearby spring. Check out Simon’s website to learn more about how this type of house is built.